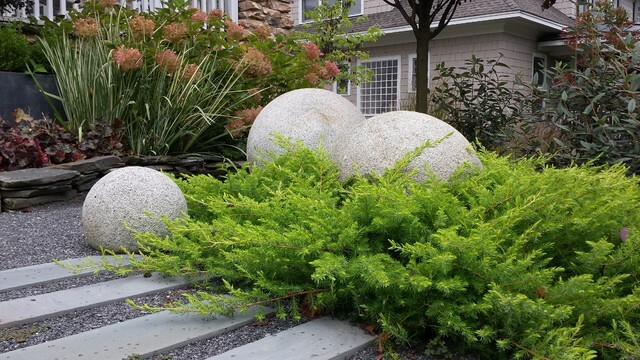 All Gold' shore junipers with granite spheres. 49 Saves | 0 Questions Photo by Jay Sifford. 'All Gold' shore junipers with granite spheres. 'All Gold' shore junipers with variegated Japanese iris. Ostrich fern with blue dune lyme grass.